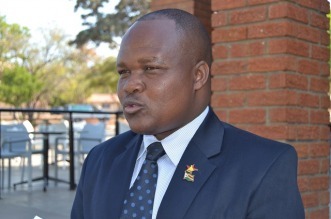 FORMER Higher Education deputy minister and top Zanu PF official, Godfrey Gandawa, has urged the electorate to brace against the ruling party’s scare tactics and vote them out in the July 30 general elections. Gandawa, who is contesting the Magunje parliamentary seat as an independent candidate, told his supporters at Chedope business centre on Saturday that this month’s elections provided an opportune moment to vote out the Zanu PF administration. “Do not be scared when you go to the ballot box because no one will see who you will vote for. Vote them out and do not be intimidated and you must vote for an MP who will bring development to Magunje,” he said. Gandawa said the electorate had the right to demand quality services like education and water from their elected officials. “Our children should go to the schools where their (Zanu PF officials) children go. We should drink the water which they drink. They are saying vote for the party, but which party, when they are firing people that are competent?” he queried. Gandawa was expelled from Zanu PF for dabbling in G40 factional politics and over his pending Zimbabwe Manpower Development Fund corruption case. He will face Zanu PF’s Cecil Kashiri, Tonderayi Kusemamuriwo (MDC Alliance) and Henry Madiro of Zimbabwe Partnership for Prosperity.